Swivel chair designed by Dirk van Sliedregt and produced in the Netherlands around 1960. 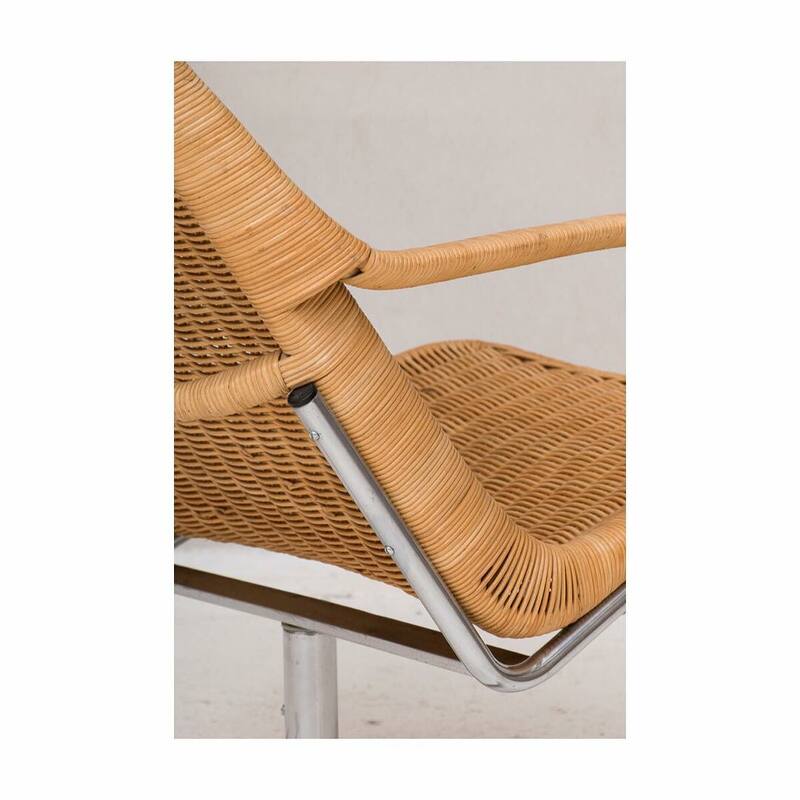 Chrome frame with a seating in bamboo and rattan. In good condition.